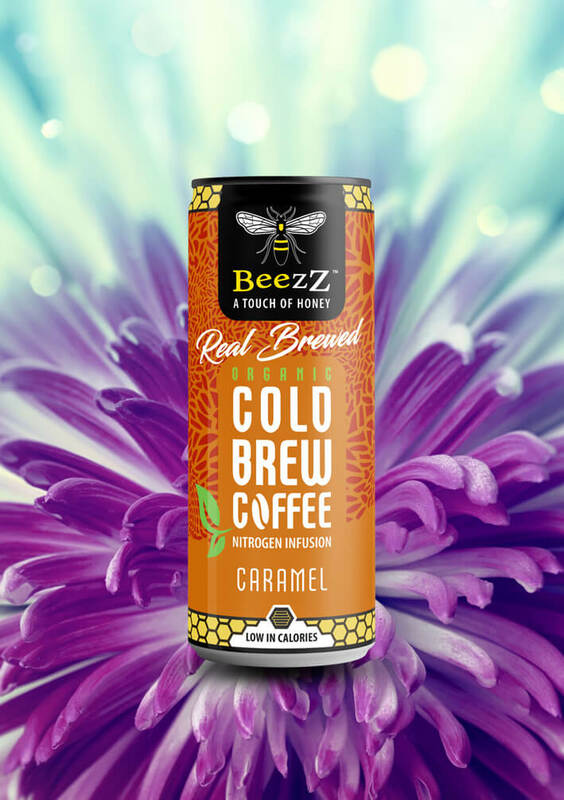 The perfect mix of 100% organically grown Arabica coffee, originating from South and Central America, lightly sweetened with organic honey, together with the comforting taste of caramel. This delicately round-bodied drink is reminiscent of soft toffee. 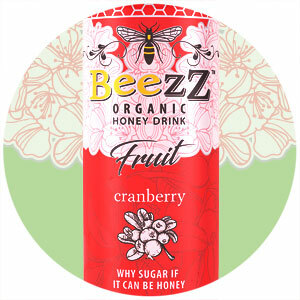 All BeezZ Drinks are "low in calories" according to European Union (EU) Regulation 1924/2006 lastly amended by Regulation (EU No. 1047/2012). Energy value per 100ml is 19 kcal/80 kJ. This BeezZ Cold Brew Coffee contains approx. 12 GRAM OF ORGANIC RAW HONEY. Shelf life: Min 16 months. For minimum expiry date, product shelf life and batch number, see bottom of beverage can. Filtered water, organic honey mix (6%), organic 100% Arabica coffee mix, natural caramel flavouring. 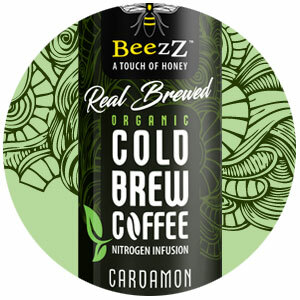 BeezZ Cold Brew Coffee is made with organic raw honey (approx. 12 g), organic 100% Arabica coffee mix & natural ingredients, so the level of vitamins, minerals, enzymes, pollen and antioxidants will vary. 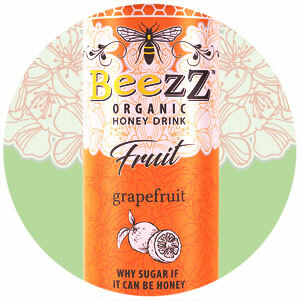 Organic honey contains naturally occuring sugars. Raw honey should not be consumed by infants under 1 year of age. Inside the can we have a capsule infused with nitrogen, that will create a coffee with a smooth, frothy top after opening. Honey is considered by many to be the world's oldest sweetener. We share thoughts, articles, movies around the topic of bees for inspiring others.